I’m so excited to be offering a variety of Product Shares! What are Product Shares? Well, it’s the perfect way to get a small “taste” or sampling of all or any combination of the NEW Designer Series Papers, Ribbons and Embellishments found in the 2017-2018 Stampin’ Up! Annual Catalog. Hence, you get a taste of these products for a fraction of the cost. Therefore, it is a great way to get started with the new products offered in the NEW Catalog. Wow! Did you know that to purchase all the packs of just the Designer Series Papers would be $181.00? Consequently, imagine the cost if you also wanted all the ribbons and embellishments?!?! Thus, product shares are a cost effective way to get a sampling of all the AWESOME Stampin’ Up! products that we love. Confession of a Crafter… I’m a Designer Series Paper Hoarder! I’m a Ribbon Hoarder! And, I love embellishments! Stampin’ Up! offers amazing, quality products that coordinate beautifully with each other. Every year I WANT to have it all. However, it is too expensive to purchase it all at once and that is where Product Shares provide the perfect solution. I, and you, can purchase a sampling of all the different Designer Series Papers, Ribbons and Embellishments and that also helps you decide on future purchases. I’ll place the order for the Product Shares on June 1st and use 2 day UPS priority shipping option since I live on the East Coast. Therefore, by ordering with the 2-day priority shipping, I should have the shares cut, bundled and back out to you by the end of the second full week of June. If for whatever reason a product share DOES NOT fill with the number of people required, I will contact you. NOTE: There is a set process for product shares…. collect reservations, send invoices via PayPal, collect payment, place the order, receive shipped order, cut and sort product, repackage product, package up and mail the product share. The entire process takes approximately two weeks AFTER I place my order with Stampin’ Up! PayPal Billing Starts: May 26 or as soon as a Product Share is full. EMAIL ME to reserve your spot today – limited spots available! My email is [email protected]. If local to the Smithfield / Clayton, NC area, indicate if you prefer Porch Pick Up (PPU). When your shares fill, I will email you a PayPal(*) invoice to complete the payment process. I will then place my order with Stampin’ Up! Upon the arrival of the order, I will sort, cut, wrap/assemble, package, and mail the shares. The entire process can take upwards to 10-15 business days if there are no backorders. Why should I order a Paper Share? 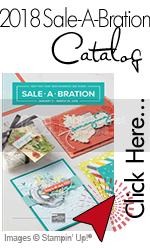 Because you’ll receive a sampling of all the NEW Designer Series Papers from the 2017-2018 Stampin’ Up! Annual Catalog for a fraction of the cost. There are a total of 15 NEW Designer Series Papers: 3 – 6×6 Designer Series Paper Stacks, 1 – 12×12 Designer Series Paper Stack, 7 regular Designer Series Packs and 4 Specialty Designer Series Packs (“DSP Packs”). In my Paper Share, you’ll receive a total of 145 “6×6” sheets of paper broken down as follows: 101 – 6″x 6″ squares, 22 – 6″x 12″ sheets (equivalent of 44 6×6 sheets), and, in addition, you’ll receive 2 – 3″x 6″ sheets of the Eastern Palace Specialty papers. The number behind the name of the DSP below indicates how many pieces you will receive of each pack. Why am I offering some as 6×12 sheets? Because I believe that you need more than a small “scrap” to really “see” the paper and get a chance to use it and love it!! This especially applies to the Just Add Color Specialty Designer Series Paper. (*) I use PayPal for all my billing needs. But, a PayPal account is not required to make your payment. All you need is an email address and credit/debit card. When you receive my PayPal invoice, you can choose to pay using your PayPal account funds or via credit/debit card. Just follow the EASY instructions to make your payment via the method that is most convenient for you.